The 4-H Office hours are Monday - Friday, 8am-12pm and 1pm -5pm. Call (912)871-6130, or stop by for information or to sign up for activities. 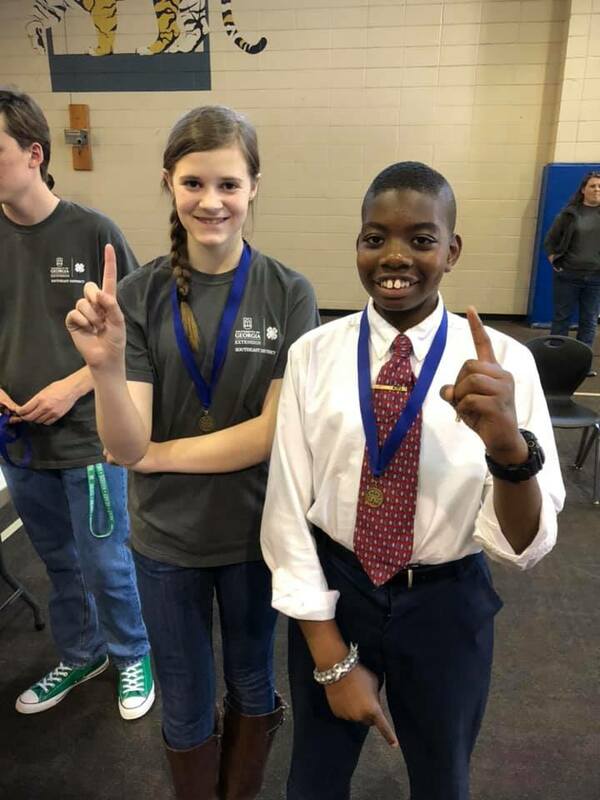 Bulloch County 4-H was well represented at Cloverleaf District Project Achievement on March 23 with forty-six participants in grades 4-6. These 4-H’ers presented demonstrations on various topics of their choosing after weeks of preparation and practice. Bulloch County 4-H earned awards for having the most participants in District Project Achievement and having the second highest increase in participation from last year. 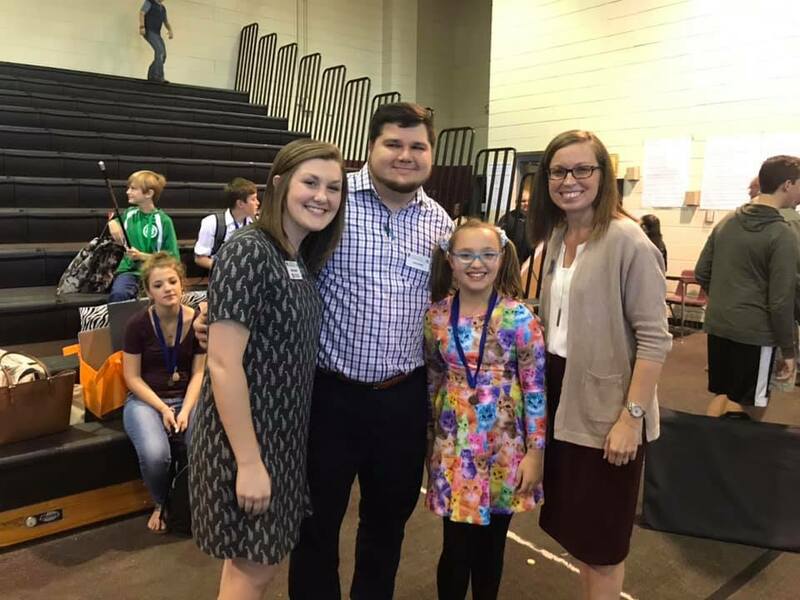 First place winners were: Callie Barger, Harmony Brown, Anthony Cook, Maraina Cooper, Isabelle Cruz, Addie Deal, Madison Earls, Elikem Gato, Woelinam Gato, Mary Grace Geiger, Haley Hammett, Sarah Kate James, Thurgood Johnson, Payton Kroeck, Sammy Mendez, Chandler Middleton, Maggie O’Neill, Ann Parker, Maddie Ruhland, Bryson Rush, Grace Shuford, Cate Skaggs, Noah Streetman, Chase Wiggins, Serenity Williams and Maggie Young. Second place winners were: Will James, Addie Kalloniatis, Carson Kirkland, Dusty Mallard, Makynna Odom, Preston Pye, Jocelyn Rhodes, Quinn Stoy and Tyler White. Third place winners were: Kyrie Abell and Ryan White. Fourth place winners were: Dawson Butler, Zion Canty, Theron Gideon, Allie Hendrix and Nelson Kirkland. Fifth place winners were: Angelica Halaby, Rachael Sapp, Armani James and Kaylie Tipton. 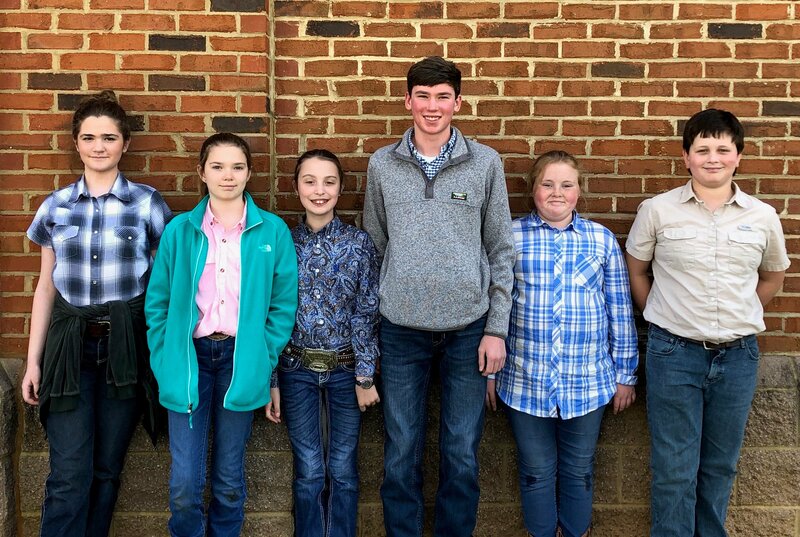 Six Bulloch County 4-Her’s competed at the State 4-H Livestock Judging contest on March 23 for the first time in man years. These 4-H’ers learned about evaluating beef cattle, pigs, sheep and goats. The Junior team comprised of Gracie Anderson, Mason Hoffman, Kate Anna Newman, Janelle Spivey and Aubrey Williams placed 8th while Tyler Hunter placed 22nd as an individual in the Senior event. This team is coached by 4-H Volunteer, Ben Martin. Hi, I'm Nellie Spivey! I'm a junior 4-Her, and I really enjoyed being an officer on the Jr/Sr board this year. 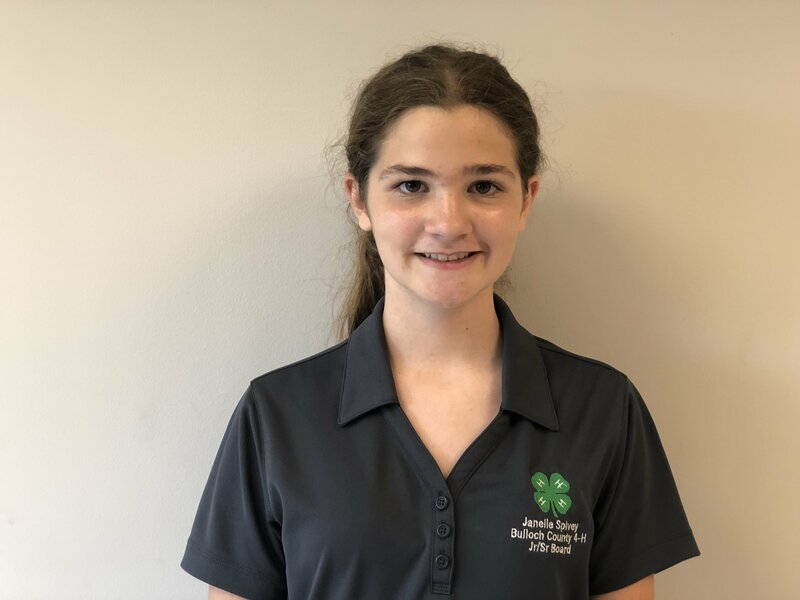 It has given me lots of leadership opportunities and public speaking skills, and I've made many new friends.I have really enjoyed 4-H judging teams this year, and we are looking forward to the Poultry judging competition on April 12th! I'm excited about the next Jr/Sr meeting which will be at a Georgia Southern baseball game, and also the 4-H banquet, which will have a super fun theme which we can hardly wait to share with you! Come have fun with us at 4-H! Are you a rising 7th-12th grader? Are you interested in serving as a leader in Bulloch County 4-H? Then you should apply to serve on the 2019-2020 Junior/Senior Board. This group of students plans activities, meetings, community service projects and more! Complete the application and return to the Bulloch County 4-H Office by Friday, March 29. Applicants will be interviewed on Wednesday, April 3. Join us to cheer on the Eagles as they take on Charleston Southern. Tickets are $3 each and are available at the 4-H office while they last! 4-H'ers will be able to run onto the field with the players and participate in games between innings. 4-H Scholarship applications for graduating seniors are now available. These applications are due back to the Bulloch County 4-H Office by Friday, April 5. The Statesboro Kiwanis Club awards livestock (pigs, goats, sheep and rabbits) to local 4-H'ers that are interested in showing livestock. The club gives these animals to selected 4-H'ers and then it is their responsibility to feed and care for them during the show season. After the show season, the livestock are the 4-H'ers to keep. Anyone interested should complete the application and return to Deb Pease by April 15. Each year we have a banquet to celebrate the great accomplishments of our 4-H'ers. 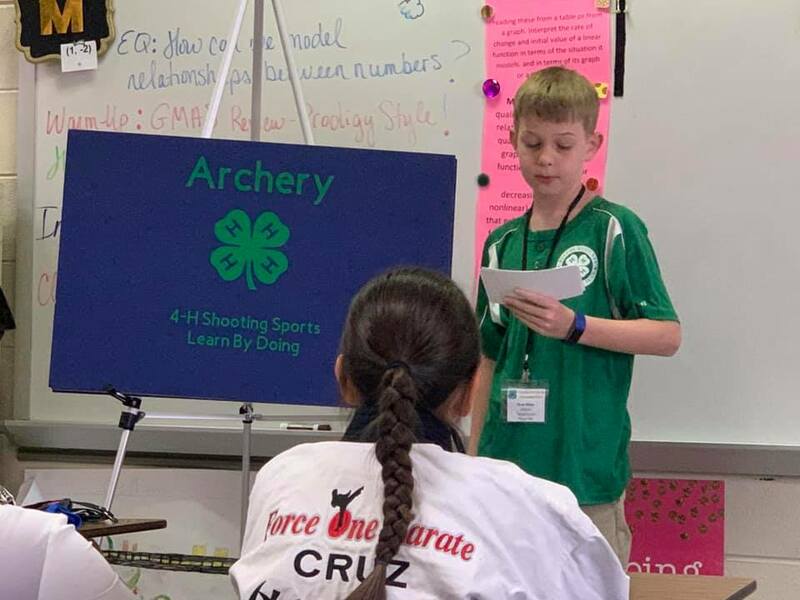 If you exhibited a mini booth, participated in Project Achievement, or was part of a competitive team with 4-H (Forestry, Consumer Judging, Archery, Shotgun, Livestock, Poultry) you will be invited. This year's banquet will be the evening of Thursday, May 2 at Statesboro First United Methodist Church. This year's Rabies Clinic will be on Saturday, May 4. Vaccinations are $12 each for cats and dogs. 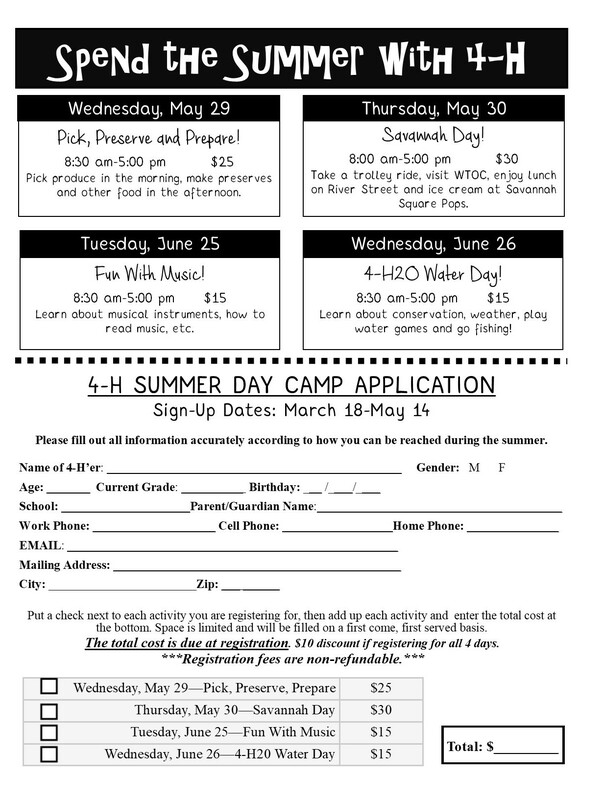 Bulloch County 4-H is offering 4 single-day activities this summer for 5th-6th graders. Check out the flyerand return along with payment anytime from March 18-May 4. Spots are limited for each day and will be filled on a first come, first serve basis. This month we are collecting items to make Medical Care Packages. This includes: bandanas, small Kleenex, hand lotion, hard candy, crossword/Sudoku books, knitted items, socks, blankets, books, magazines, pens, stuffed animals, crackers, snacks, etc. Become a GA 4-H Volunteer! Check out the many ways you can make an impact on 4-H'ers in Bulloch County. We are currently looking to fill chaperone spaces for the following 4-H events. For all events, the volunteer must be screened and pass online risk management training. For more information, contact Susannah. NEED: Individual(s) to help donate or prepare food for monthly meetings, assist with set-up, etc. TIME COMMITMENT: Choose a monthly meeting to assist with.